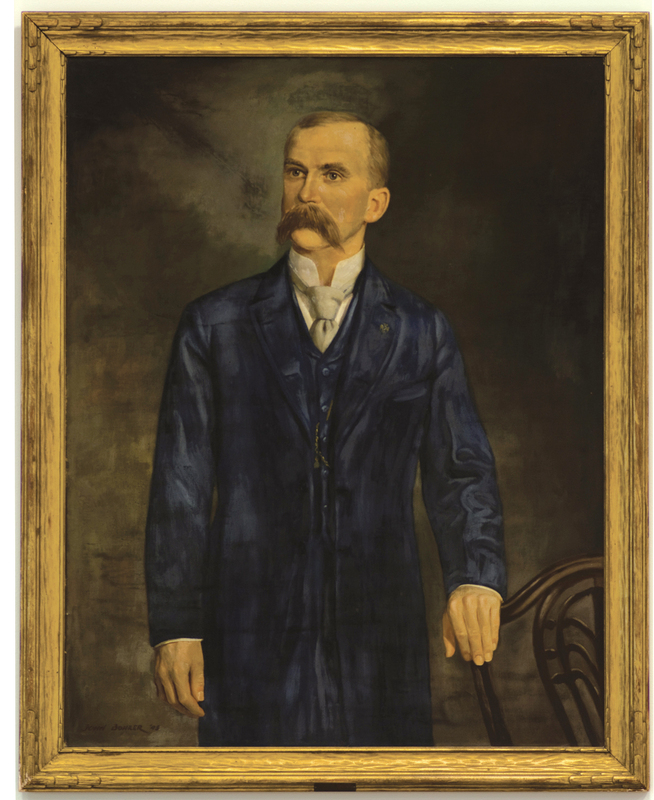 J.P. Blanton was born in Cumberland, VA on January 29, 1849. His father, Rev. Joseph Blanton, died soon after he was born, and his mother, Susan (Walker) Blanton, died only seven years later. He was raised by his older brother, Lindsey Hughes Blanton, a Presbyterian minister who would later serve as Chancellor of Central University, Richmond, KY, 1881-1901, and Vice-President of its successor institution, Centre College, 1901-13. Blanton received his early education in Kentucky then enrolled at Hampden-Sidney College in Virginia in the fall of 1864. At this time, all students in Virginia colleges were required to enlist in the Confederate Army, and in the Spring of 1865 he was called to active duty, just in time for the final retreat and surrender. He then returned to the college to earn his Bachelor of Arts in 1869. Hampden-Sidney later gave him an honorary Master of Arts and his brother’s school, Central University, a Doctor of Laws. After graduation, Blanton taught two years in Kentucky rural schools then came to Missouri where he taught at Watson Seminary in Ashley and was Principal at Parker Seminary and the public schools of Troy, before becoming Superintendent of Schools at Mexico in 1877. He was elected President of the First District Normal School in 1882 and remained in that position until 1891 when he joined the faculty of the University of Missouri as Professor and Dean of the newly formed Department of Education. In 1898 he became President of the University of Idaho, but remained there only two years. He retired from education in 1900. J.P. Blanton married Anna Craig Bell of Pike County, MO, on June 25, 1872. Their children were Martha (Mrs. J.L. Stephens), David A., Harry B., Charles I., and Fred W. He was a Presbyterian, a Democrat and a Mason, serving as Worshipful Master of Kirksville Lodge No. 105, AF & AM, 1886-87. He died in St. Louis October 23, 1909 and was buried in Columbia Cemetery, Columbia, MO. Memorials to him on the campus at Kirksville include Blanton Hall, a residence hall named in his honor, and his portrait in the Presidents Gallery.